MySQL Cluster(叢集). MySQL Cluster is now released as a separate product, based on MySQL 5.1 but with the addition of the NDBCLUSTER storage engine. Clustering support is no longer available in mainline MySQL 5.1 releases. MySQL Cluster releases are identified by a 3-part NDB version number; currently, the MySQL Cluster NDB 6.2 and MySQL Cluster NDB 6.3 release series are available for production use. MySQL Cluster replication. Replication between MySQL Clusters is now supported. It is now also possible to replicate between a MySQL Cluster and a non-cluster database. See Section 17.11, “MySQL Cluster Replication”. MySQL Cluster disk data storage. Formerly, the NDBCLUSTER storage engine was strictly in-memory; now, it is possible to store Cluster data (but not indexes) on disk. This allows MySQL Cluster to scale upward with fewer hardware (RAM) requirements than previously. In addition, the Disk Data implementation includes a new “no-steal” restoration algorithm for fast node restarts when storing very large amounts of data (terabyte range). See Section 17.12, “MySQL Cluster Disk Data Tables”, for more information. Improved backups for MySQL Cluster. A fault arising in a single data node during a Cluster backup no longer causes the entire backup to be aborted, as occurred in previous versions of MySQL Cluster. Many other new features and improvements have been made to the NDBCLUSTER storage engine in MySQL Cluster NDB 6.2 and MySQL Cluster NDB 6.3; for more information about these, see Section 17.15, “MySQL Cluster Development Roadmap”. Backup of tablespaces. The mysqldump utility now supports an option for dumping tablespaces. Use -Y or --all-tablespaces to enable this functionality. Improvements to INFORMATION_SCHEMA. 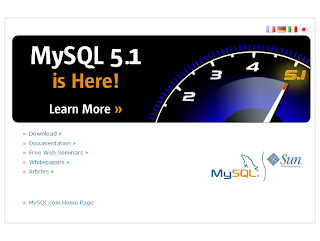 MySQL 5.1 provides much more information in its metadata database than was available in MySQL 5.0. New tables in the INFORMATION_SCHEMA database include FILES, EVENTS, PARTITIONS, PROCESSLIST, ENGINES, and PLUGINS.